Ever stomp on the pedals just to have your rear wheel slide forward in the dropouts and throw your chain? There are lots of BMX-style tensioners out there, but few of them fit in our dropouts without some serious grinding. So, we decided to design a chain tensioner that will keep that rear wheel static in our dropouts... and most other kinds of rear-facing horizontal dropouts. Plus, ours will open up a bottle o' brew. The body is investment cast in stainless steel for durability. 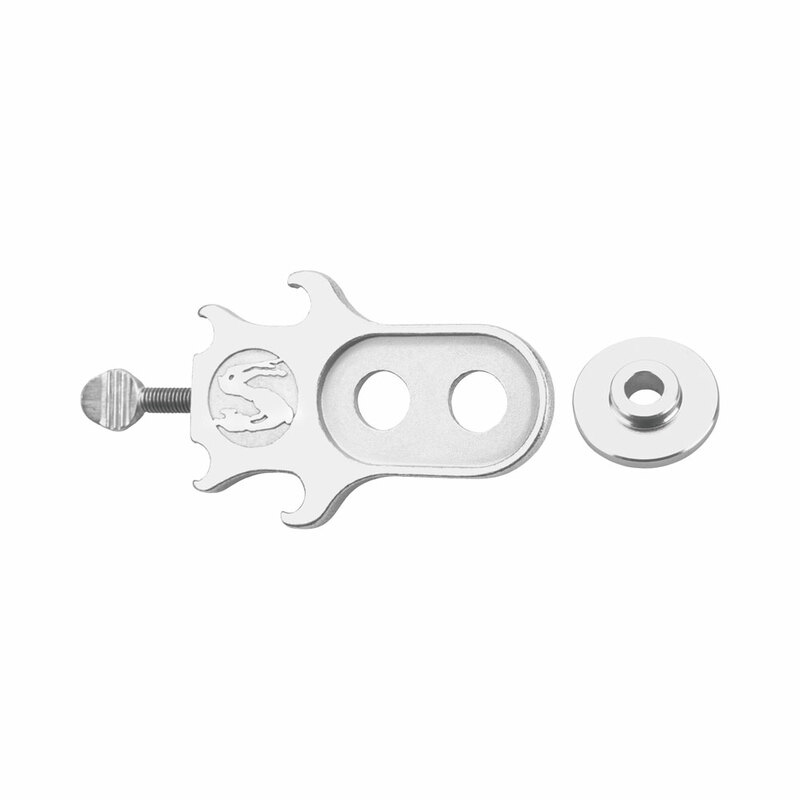 Features a thumbscrew and two axle holes for a wide range of fore/aft wheel positions. Comes with an aluminum adapter to reduce the axle hole from 10mm to 6mm, so you can use it with quick-release axles, in addition to nutted axles.